Anyone having a million relatives staying out your house over the holidays? It’s tough to figure out meals when there are so many people running around, so it’s nice to be able to assemble ahead and serve. 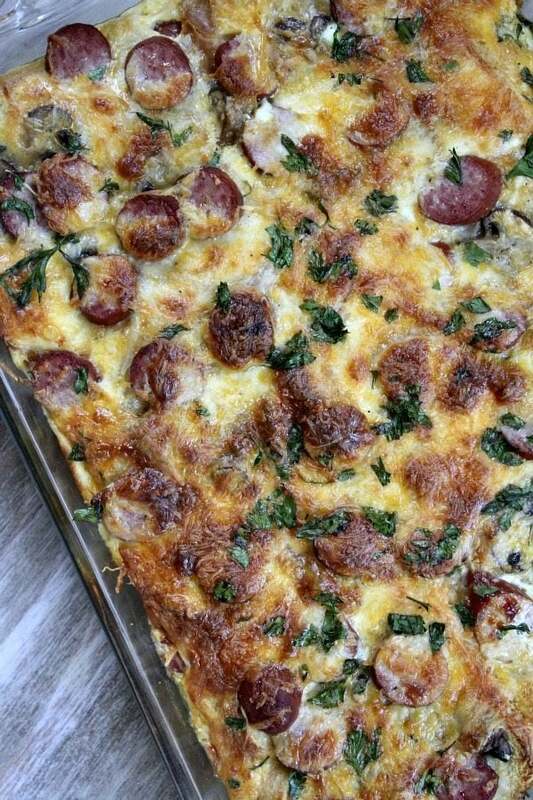 This is a make-ahead breakfast casserole recipe. 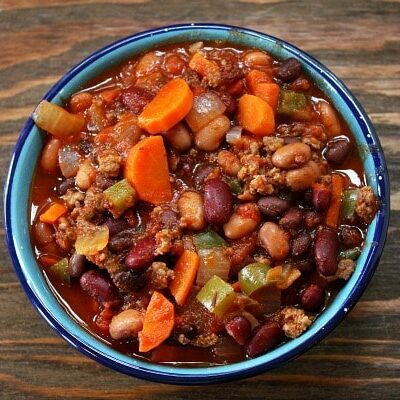 You (or other willing people who are meandering around your kitchen) prepare this the night before and then refrigerate overnight. 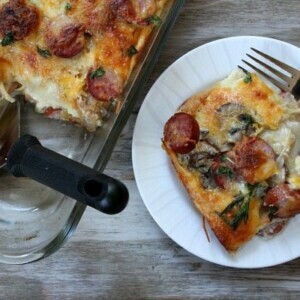 The first one up in the morning, pops it into the oven, and then breakfast for the whole house is ready in one hour. This recipe is a major keeper. Try it out on your relatives over the holidays, and let me know what you think! 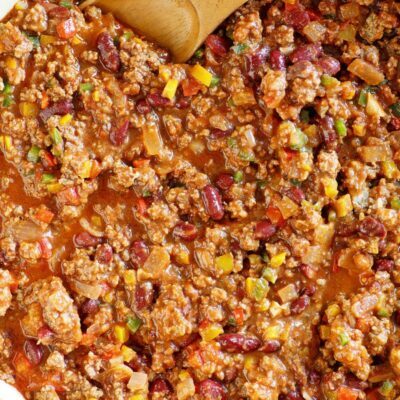 Prepare the night before, refrigerate overnight, and bake the morning of serving- easy! 1. The night before: Butter the bread slices on one side and set aside. 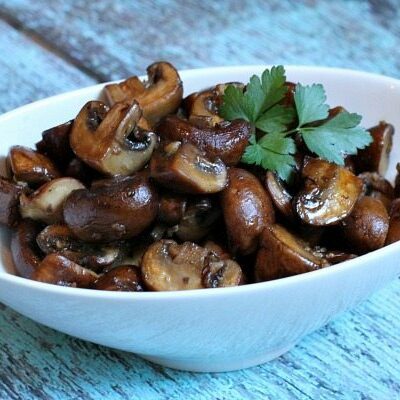 In a large skillet, melt the butter and saute the mushroom and onions over medium heat until lightly browned and tender. 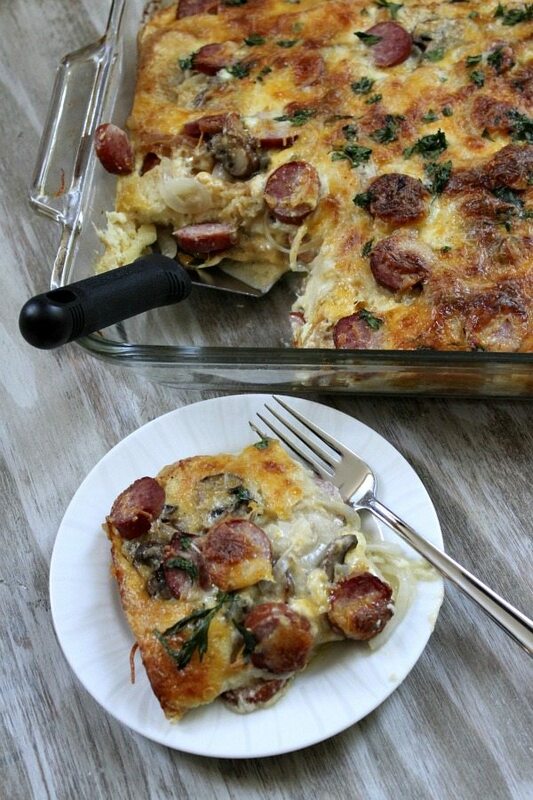 In a greased 11x17-inch shallow casserole dish, layer half the bread, mushroom mixture, kielbasa and cheese. Repeat the layers, ending with cheese. In a medium mixing bowl, whisk together eggs, milk, mustards, nutmeg and a sprinkle of salt and pepper. Pour over the casserole; cover and refrigerate. 2. The morning of: Preheat oven to 350 degrees F. Let casserole sit at room temperature for 15 minutes. When ready to bake, sprinkle parsley over the top of the casserole and bake for one hour, or until bubbly. *If you don't wish to use kielbasa, you can substitute a mild Italian sausage. Cook and cut into bite-sized pieces. The kielbasa is already pre-cooked, so you don't have to cook it before adding it to the casserole. *If you don't have an 11x17-inch casserole dish, improvise by using a couple of smaller sized dishes. I’m having a hard time finding an 11×17 baking dish. Do you know where I could find one? I would prefer to use the one baking dish, but I saw your note about using two smaller ones. What sizes do you recommend? You could probably use two 8×8 pans… I guess you’d look for the 11×17 anywhere they sell pyrex. Hmmm, any nutritional info (per serving) for this dish? Do you cook the kielbasa ahead of time at all? Saute it – or just slice and put it in? Kielbasa is already pre-cooked. So, no you do not have to saute it. When using the 11×7 sheet pan, is that just a single layer with the 12 slices of bread? Also, is the bread put down butter side up or down? Thank you! It’s an 11×17 casserole dish (not a sheet pan)… and I’d put the bread butter side up. Thiiiiiis is what dreams are made of. Hi. Are you sure the pan is 11 x 17? Or should it be 11 x 7? yes. There are instructions in the tips at the end of the recipe if you do not have that size pan. What a perfect breakfast idea! So yummy! I think that looks amazing. Love having breakfast almost ready for guests when you wake up! And thanks for linking to my breakfast casserole too. Great one!! This looks absolutely delicious! Love the fresh parsley touch. no, definitely not soggy- it just bakes in. I can’t wait to try this. 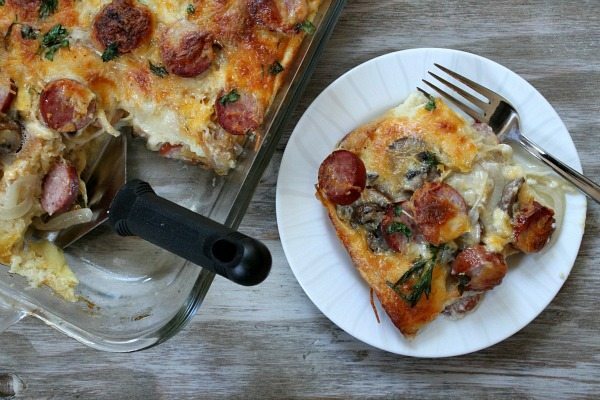 Great spin on the normal sausage/egg casseroles. Thanks for all the fabulous recipes! We ate this this morning, Christmas morning, and it was delicious! I prepared it last night then baked it this morning while we were opening gifts. Great dish!